SCL is one of the world leaders in providing complete RFID solutions. Our highly skilled technicians identify, supply and install a system specific to your application, while working closely with you to ensure the system meets your requirements. 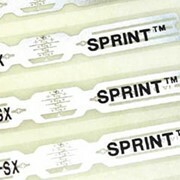 In their simplest form, RFID products can be thought of as an electronic barcode. RFID uses radio frequency transmission to identify, categorise, locate and track people, animals or objects. A reader / writer with an antenna. A transponder (tag, card or label). A computer or other data processing system. even a direct line of sight between the reader and the transponder in order for it to be tracked. This means that the transponder can be embedded or hidden inside objects. A transponder is essentially a small chip that stores information and transmits this information to a reader when activated. A silicon chip which controls the communication with the reader. The chip has a section of memory that stores an identification code or other data, and the contents of the memory are transmitted to the reader when activated. An antenna which is connected to the chip and a tuning capacitor assisting with the transmission of data. A carrier form or encapsulation. What are the advantages of RFID systems? 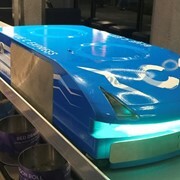 RFID transponders are more effective than barcodes with their ability to be read, through almost any material you can think of - concrete, metal, paint, plastic and non-ferrous materials. 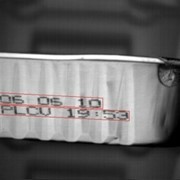 Compared to barcodes and conventional ID technology, a transponder can be a fraction of the size. 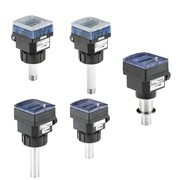 They have unprecedented read speeds and can operate in areas with high levels of electro-magnetic interference. Reliable in harsh and corrosive environments, the traceability of RFID tags are opitimsing processes in a wide range of industries. RFID systems can increase your production efficiency with faster data collection and the elimination of clerical errors in recording data. You will also save on the reduced labour and paper work required to process data. 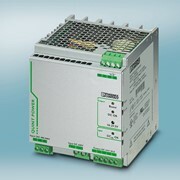 All System Controls RFID products are in compliance with current and future regulatory requirements. 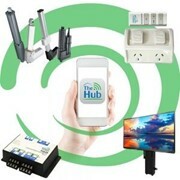 What are the benefits of an RFID solution for my business? 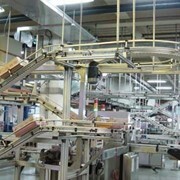 Accelerated processes through increased automation. Increased customer satisfaction due to real time analysis. Ability to track the dispatch of goods to customers. Asset tracking; containers and pallets can be tracked and located throughout the supply network,reducing waste and stock shrinkage.